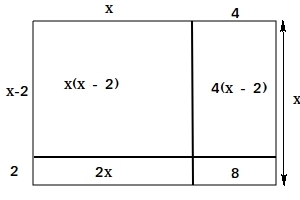 In this lesson, we will perform the multiplication of binomials geometrically. In other words, we will use area models to do the multiplication. (x + 4)2 = (x + 4)(x + 4). 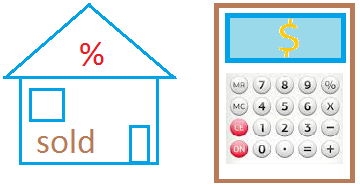 The area model is shown below. 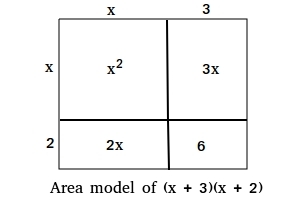 The area we are looking for is that of the preceding entire square, which is the sum of the four inner regions. 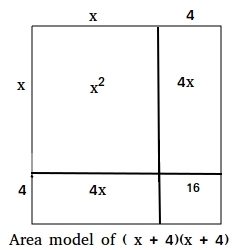 The area we are looking for is that of the preceding entire rectangle, which is the sum of the four inner regions. 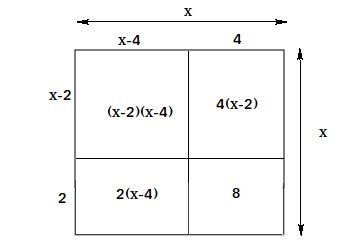 The area we are looking for cannot be found by using the upper left rectangle which is a representation of (x-4))(x-2). To find the area we need to find the area of the large square and then subtract the areas of the other three rectangles from it.